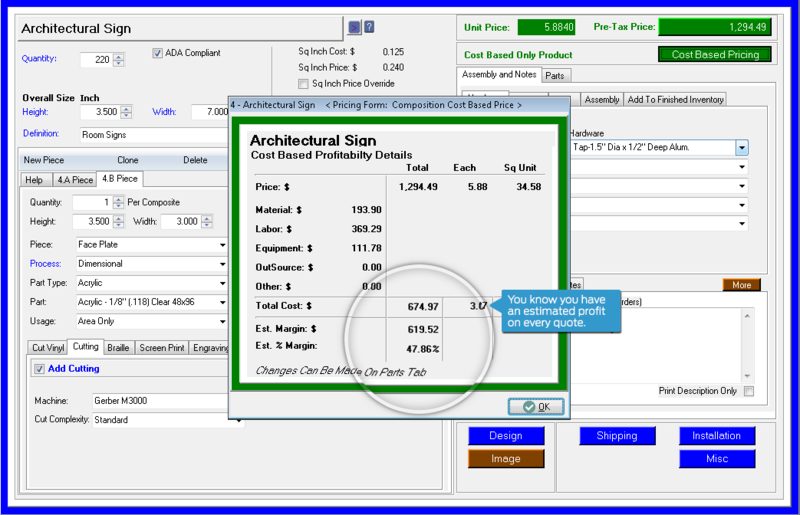 Software for pricing and producing Architectural and ADA Signs. Product specific screens. Everything you need to price ADA or architectural jobs. Price your way. Calculates price and cost per square inch, if you choose. Missing deadlines & scrambling to order supplies? 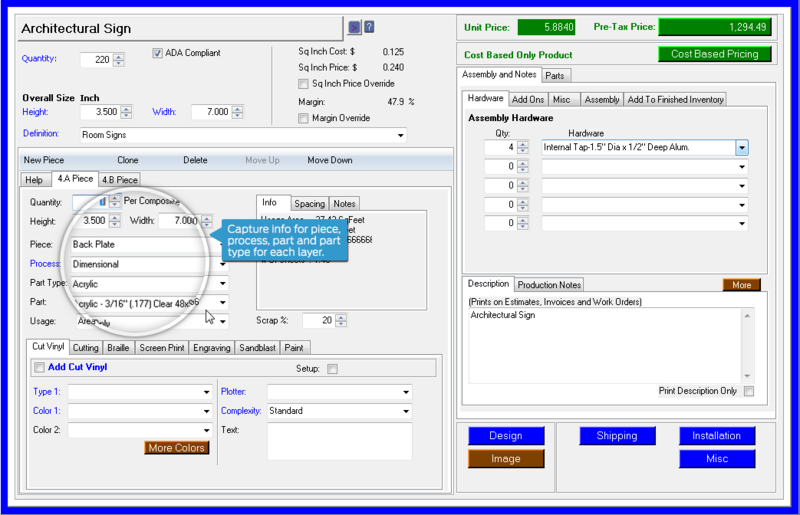 Control automatically creates a parts list and complete bill of materials to show you inventory so you can set a realistic due date. Keep up with surveys and permits. Control converts the estimate to a work order then invoice — no re-writing, no missing info. 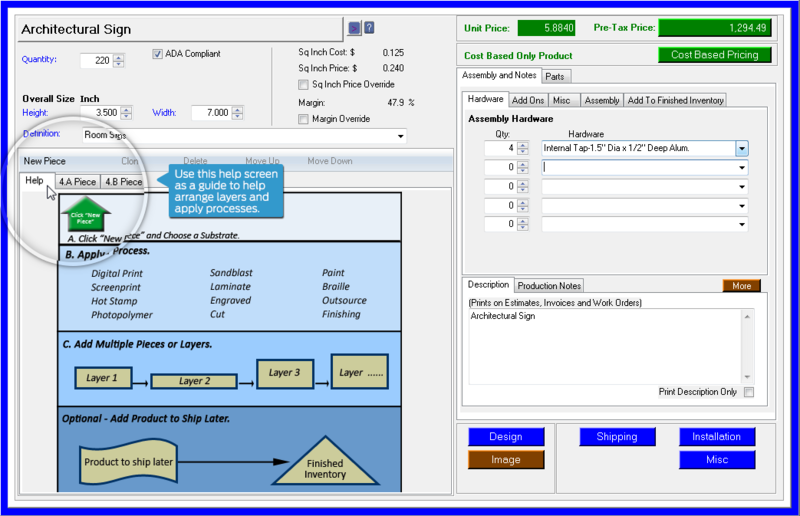 Select dimensions, pieces, process, part type and usage for each layer. Use this this screen as a guide to help arrange layers for a typical composition sign. With Cyrious Software you always have accurate information about what you’re producing, who you’re invoicing, and when projects are due. You only have to input something once. We can do pretty complicated estimates in an hour.